I’d say this video is nearly as old as I am. I love it. Just sitting around today and thinking about blogging projects for next year. My gaming post from Monday got me thinking about Morrowind. That game will be 15 years old in 2017, and it’s held up better than any other game from the early 2000’s I can think of. I’ve got the pc version with the two expansion packs and 50 or 60 GB worth of mods, including a few simple ones I made myself, stashed away. I’m thinking I might set up a character and play the character to maximum level, blogging the whole thing with copious screenshots and funny captions as I go. The problem is, I don’t have a computer I’m comfortable installing Morrowind and a bunch of community-made mods on at the moment. I figure by January or February, though, I’ll be able to afford a desktop that will run it just fine and the family can use the desktop for other things when I’m otherwise occupied. I’m thinking this could be good, would take so long I could finish it up just as Morrowind turns 15 years old, and if I make the thing entertaining enough, readers wouldn’t necessarily need to know much about Morrowind to enjoy it. I’m doing my best to get back into the swing of blogging, and things are much better for me now than they’ve been since July. But the offline stuff just won’t quit, so I’m taking it slowly. I don’t want to jump back in with both feet and start posting every day until I am sure I can sustain that level of activity for several months. I thought I was done with gaming when my last desktop quit in 2011 and took away my Morrowind. Lol, little did I know. I’ve got a seven-year-old with an X-Box in my household now, and I’m the only other gamer in the house. Since he needs guidance and occasional help with boss fights, I’ve been spending some time with the video games lately. Once a gamer, always a gamer, it seems. I’ve thought for awhile that gaming is an area of pop culture that we aren’t tapping into properly with this blog. I mean really. Gaming ought to do well on any blog that lives primarily on comics, sci-fi, and zombies, right? The problem up to this point with gaming posts has been the same problem I have with comics. All the games I am familiar with are so old, I can’t count on anyone caring about what I have to say about them. And comics contributors are WAY easier to find than gaming contributors. I’m playing through some games right now that, if not exactly current, are things people will recognize. I’m not quite ready to start in on those today. Instead, I’ll tell you about some some antics I used to get up to with one of the Civilization games. The Sid Meier’s Civilization series as a whole has consumed more of my free time than any other franchise in any media. It’s beat out Star Wars and Star Trek, and heck, even Tolkien, for my attention over the past 20 some-odd years. It’s arguably the series that got me hooked on gaming, so seems a good place to start. The Civ games are turn-based strategy games that give you a high-level view of an entire civilization. You start with a settler, decide where to build your first city, then figure out how many military units and what improvements to build, etc. It’s the first fully-developed “god game” I ever encountered. The only thing that came close in the late 80s and early 90s was Populous, and Civ I made Populous look like computer checkers. My overall favorite Civ game was Civilization 4, because I feel as though the creators finally got culture, religion, and forms of government right with that one. But the iteration of Civ that I played most (by far) was Civ II. Morrowind is the only game that’s ever even come close to touching the amount of time I’ve spent playing Civ II. The feature of Civ II that gave it the ultimate replay value, even after I’d figured out how to win any game, on any difficulty, is this. It had a cheat mode which you could easily enable, and which allowed you to manipulate the Civ World in ponderous ways. And I never once used the cheat mode to win a game. I used it to do things to my games AFTER I’d won them. Here’s what I would do. Set up a game on a pangaea map with as many civilizations as I could crowd in. Conquer the world so that I ruled ALL the cities, except for one AI city on an island somewhere, which was surrounded by my navy so that I could see every ship coming in, and every ship going out of that city. Develop my cities and the land around them to the point of absurdity, so that by the 1940s or so, the world was filled with huge cites with solar plants and mass transits and stuff like that, surrounded by farmland and connected by railroads from one side of the world to the other. Dismantle all my nuclear weapons, collect my final score for the game, and save a copy for posterity, so I could go back later and see what the world looked like before I turned the cheat mode on. Turn the cheat mode on and take away the all the technologies from the glorious futuristic, world-spanning civilization I’d just built, reducing it to the stone age for the purposes of producing new units and city improvements. Then I’d give ALL the technologies to the tiny one-city civilization I’d left standing on the island. Give the one-city civilization a lot of military units, many of which were strategically placed to take the large civilization’s capital and several other cities in such a way as to cut that civilization in half. Then force them into a state of war. Of course, the small, well-armed civilization would take the capital of the large civilization and all the cities required to cut in in half. The large civilization’s capital would jump to the side of the line where it had the largest number cities. And then this would happen. On the side of the line where the large civilization had the smallest number of cities, an ENTIRELY NEW civilization would spawn and break away from the big civ. It would enter the world as a neutral power. Its technology would be roughly halfway between the stone age and the space age, and it always had ten or 12 well-maintained cities, including a few ports. Where once there was a monolithic hegemon and a one-city civ on an island, there were now three civilizations: A nuclear power with its capital on an island, a large military, and ten or twelve cities on a continent; a large, backward civ with 40 or more starving cities and just enough modern units to garrison them; and a civilization with 20 or so cities and early 20th Century technology. And without fail, this was the outcome. I always ended up with a war-torn world of two or three powers perpetually at war, with the starvation that accompanies global warming and nuclear fallout reducing the population of the cities by a point or two per turn, until finally all the cities had a population of one, and no one had any units other than garrisons, and no way to produce new ones. It would sometimes go through a phase where it looked like a 1984-type world for a day or two. But if I let it run long enough without intervening to refresh militaries and such, it always ended the same way. It was a little disturbing, but it was a whole lot of fun. If we were having coffee, I’d tell you I’m not sure when I last published a coffee post. It’s been awhile. I’d have to go to the archives to figure it out. And no matter, it’s good to be here today. I’d tell you I’ve not only been absent from the blog, but absent from the entire Internet for a week or three now. I’m on my way back, but it will take awhile to return to form, because blogging is like any other skill-based activity. You get rusty when you don’t do it for awhile — even if it’s only a little while. And I’d tell you I am not sure where this blog is headed at the moment. I’m keeping it running at least through the first week of November, because that’s our two-year anniversary. At the very least, I’m marking that occasion. Since Luther’s agreed to recap The Walking Dead (which starts tonight!) 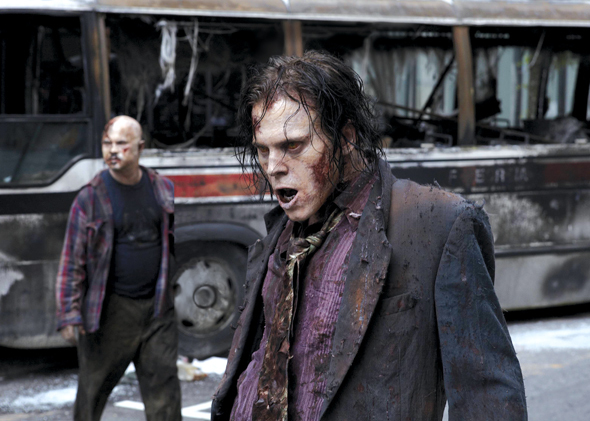 here on Saturdays for the duration of the season, and since he delivered his Fear the Walking Dead posts for the past few weeks even when I myself wasn’t posting. Well. We’re extended at least through the end of The Walking Dead’s season. From me, for the next little while, you can count on a #weekendcoffeeshare post on Sundays, an early-week gaming post, and weekend music on Fridays. If I do nothing but that for the next couple of months, and Luther brings the Walking Dead Saturdays, this blog survives into 2016. But you know there’s gonna be more. You know once I get back into the swing of things, I’ll bring the photos back on the off-days. You know I am going to keep bugging active contributors for comics posts and sci-fi posts and even though we missed the interview this month, I want to keep doing the interviews. I’m back, folks. Or at least on my way back. Still trying to take over the internet. From here on out, the blog threads get answered first. Facebook and Twitter can wait. Every good thing that’s happened to me on the internet in the last two years has happened, directly or indirectly, because I built this blog. I’m done neglecting it. I’ll neglect the entire rest of the internet first. Comments will be answered in good time either by me or by a contributor from here on out. Have a music video. I’m off to write a post for tomorrow. If you don’t know about Comparative Geeks and Drifting Through by now, you should totally take 10 minutes to check those blogs out. 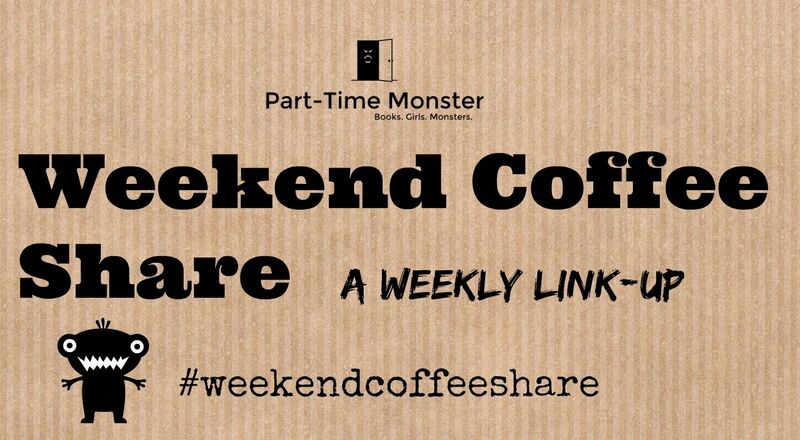 You still have time to add your coffee post to the linkup at PartTimeMonster and share it with #weekendcoffeeshare on Twitter. 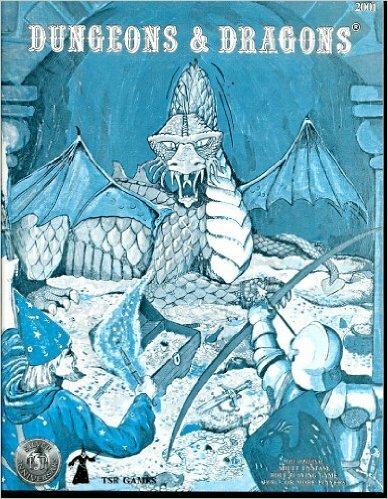 Improbable and Grotesque Mischief: Dungeons & Dragons Mayhem! I’ve been threatening to write about Dungeons and Dragons for a few weeks now. That starts today. These posts are a memoir. I’ve considered various ways of organizing them. I almost went the chronological route and started with my earliest experiences but um . . . no. Chronological memoirs are so done. I’m bringing the fun. I’ve got more tabletop gaming experience than any continuously-employed 40-something dude I know. I started with the old boxed set that came with The Keep on The Borderlands, the Blue Book, and chits instead of dice. During the 90’s and 2000’s, I was part of a Sunday gaming group which played at least two sessions per month for almost 15 years. Quite the iconic cover, this. I first encountered it when I was 8 or so. It captured my imagination. I’ve Dungeon-Mastered a lot of campaigns. I’ve played in even more. I’ve wandered Forgotten Realms, Greyhawk (my favorite out-of-the-box-world), many worlds created by friends, and a few offbeat settings such as Red Steel. I’ve run campaigns in worlds of my own creation. I’ve also played Shadowrun, Traveller, Cthulu (my favorite non-D&D tabletop by far), Masquerade, and several GURPS-based games. I’ve played a LOT of characters, and I’ve been awestruck more than once by things other people did with their PCs. I’ve created enough NPCs to populate a canon larger than The Collected Works of William Shakespeare. Today I’ll share with you the best evil player character I ever created. 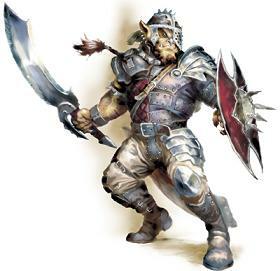 A Forgotten Realms Hobgoblin. He’ll do to represent Louis. His name was Louis Scrounge. First name pronounced the way “Louis” is pronounced in France. He was a Neutral Evil Half-Hobgoblin warrior created with variant PC-Race rules for a gunpowder game (I love me some flintlocks, oh yes I do). This was also a maritime campaign. That means tons of close-quarters combat in light armor. It also means, for evil characters, egregiously bloodthirsty piracy. 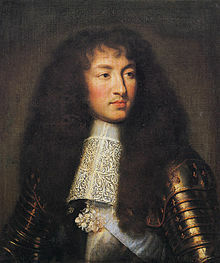 One of the many rulers of France named Louis. You get the joke here, right? Needless to say, the captain ended up bleeding from the throat and tossed over the side in the dead of the night as soon as we hit open sea. We elected an NPC to keep the sails full until such time as we could consolidate our power and get Louis into the big cabin. Then we convinced the NPC placeholder-captain to go prize-hunting. This is how our career started. It’s one of the most memorable first adventures I’ve ever been a part of. That first ship was like Animal Farm, and we were the (extremely evil) pigs. Roll four six-sided dice. Re-roll ones until you get at least a two. Once you have no ones, drop the lowest number and add the other three together. If you happen to end up with three twos, you MUST take that six, but this method generates numbers less than nine so rarely that if you get a truly low score, it’s cause for celebration and character development. Put the ability scores wherever you want them to be. What you usually end up with using this method is a couple of 11’s, one or two 16+ scores, and a mushy middle that can run from 10 to 15. We sometimes added Unearthed Arcana-style Comeliness to make Charisma-based roleplay more interesting. Occasionally we used Luck, which is not a normal ability score, but is derived from the basic six, and usually was a stat that ran from 3 to 5. We could use a Luck point to automatically roll a natural 20 or pass a saving throw, but once we did, that point was gone until we impressed the DM enough to earn it back. It was not possible to spend two Luck points in one go, nor fractions of them. They were awarded and spent one at a time, always. We were in the business of creating above-average characters with superhero potential, and we had a lot of fun with it for a lot of years. Never once in all that time did I witness a character make it to 20th level. The first five levels are important — once you hit sixth, you know who you are. Most of the character deaths I’ve seen have either happened right out of the gate, or between 12th and 15th levels. Back to Louis. He was a Third Edition character with feats and such. Started with a 19 Constitution and a very low Charisma, because Half-Hobgoblin racial ability adjustments. A 17 Dexterity and a decent Strength. He wasn’t the brightest bulb in the box, nor very observant. That’s way survivable, though, with the right friends. I can be cunning even with a low Wisdom and Intelligence. And being confident that if you can hit something JUST ONCE it will die 75% of the time is a huge advantage for a fighter in D&D. Louis started out as a first level Ranger, of all things. Then took two levels in fighter. His career ended (I’ll get to the ending in a bit) at 12th or 13th level, and he didn’t have more than four levels in any one thing, but he could take down a 10th level single class NPC like nobody’s business once he was fully developed. He even took a level or two as a Cleric to some dark god late in the game. That decision was like a deal with the devil, but it got hime Cure Light Wounds and Cause Light Wounds, which turned out to be insanely useful. His preferred weapons were dual-wielded short swords, whips for entangling enemies so as to stab them better, and flintlock pistols. At one point, he paid an artisan to craft a pair of super-accurate masterwork double-barreled flintlock pistols, and let me tell you. There’s nothing like racing into a boarding action with a pair of double-barreled pistols. 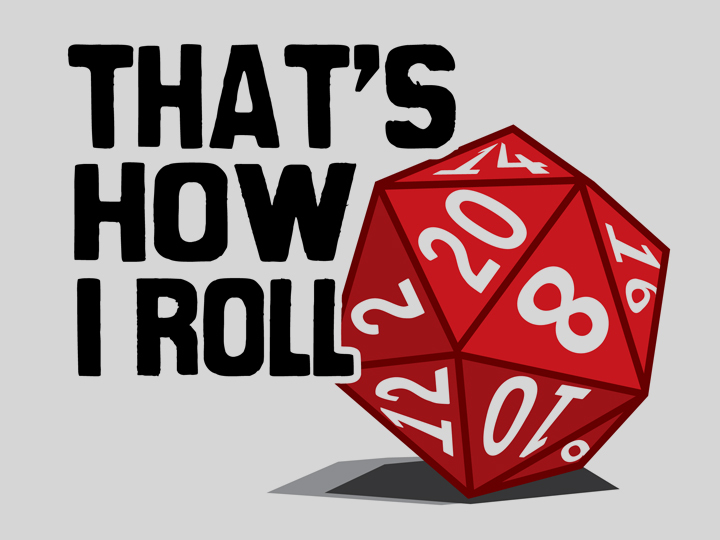 The first rule of tactical combat, in D&D, in a Zombie Apocalypse, and even in everyday life, it this. Never fight with one hand empty. 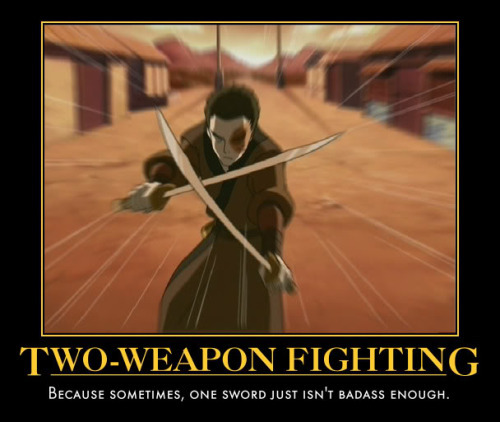 Either fight with a two-handed weapon, or bring TWO weapons. Seriously. A rolled-up magazine in one hand, or a jacket wrapped around your left arm, are better than nothing at all. 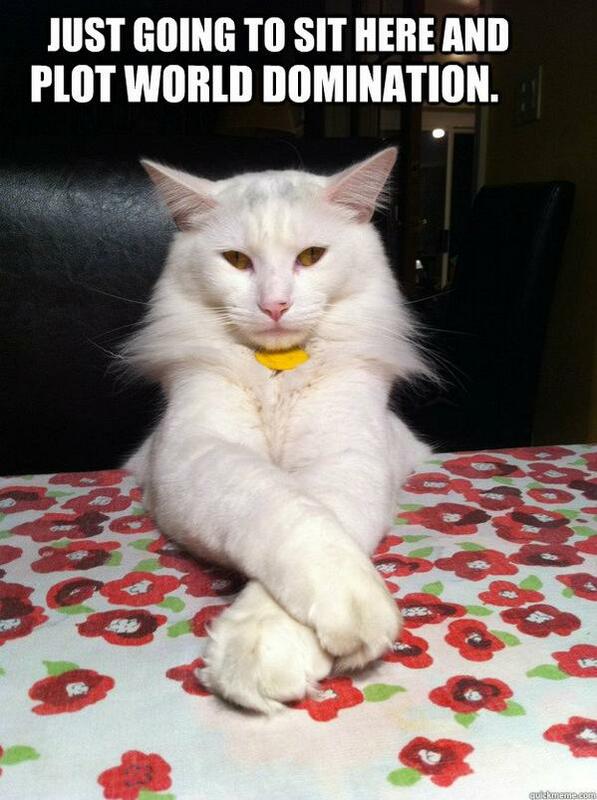 First rule. This world was a lot like the Greek Isles. Early on, we made landfall on an island because we’d been becalmed for awhile and we needed fresh water. We thought that island was uninhabited. but actually a faun lived there. He abused us a bit, the Drow most of all. Much later, we gained enough experience for the Drow to learn Teleport. The first place we teleported to? That Island. Right into the faun’s front door. I blasted the faun with my pistols and we made short work of him after that. Took all his treasure, which was not that much, but would have been a lot if we hadn’t lost that original encounter at second level. Louis made a pair of goatskin pants out of the faun’s leg-fur. Once, we encountered a slave-market. Louis bought a barbarian witch from the slavers. She had a penchant for blood sacrifice and weather control. Louis kept her as a slave just long enough to make sure she wasn’t going to cut his throat once free (about three weeks of in-game time). Set her free, but offered her power and persuaded her to stay on as lieutenant. The goatskin pants were actually made for her. She stuck with us to the end. I ran her at one point — the only time in all these years a DM has ever allowed me to run an NPC in campaign where I was just a player. We also did this. Sailed into a port which had a gladiatorial industry and brought with us a large amount of disposable income. Louis went and signed up to be a free-agent gladiator. The Drow and the Gnome ran around the city pretending not to know one another and placing bets. We even bet the ship we sailed in on at one point. Louis’s arena technique was simple. Stride into the arena with a short sword in one hand and a whip in the other. Two extra whips on the belt, two extra short swords on his back. Roll initiative. Entangle opponent. Drop the whip and pull a second short sword. Stab stab stab until it’s time to drop the second short sword and pull another whip. Lather. Rinse. Repeat. Louis sometimes fought three opponents, and he never threw a fight but sometimes he took damage just to affect the odds. We ended up with a lot of money and artifacts. Eventually, we captured a well-armed flying ship which could also sail on the water and look like a normal ship. That was the peak of our career. Happened around 10th level. The DM grew weary of our evil mayhem, though. He decided he did not care to get into an arms race with high-level characters, and ran us to ground the way the British Navy ran pirates to ground in the late 1600’s, just to make sure we never got to be high-level characters. The last scene was satisfying. It made perfect sense. This entire series of fictional events took place over the course of less than a year in real time, and covered maybe 18 months of campaign time. It was quick, and it was delicious. No actual persons were harmed in this roleplaying experience, except maybe me. Have a Cold War-Era Rock and Roll video by an artist who is no longer among the living. The content of the song perfectly encapsulates where I am with this blog right now.